A few months ago, Disney from Ruffles and Stuff submitted this tutorial to be featured on somewhat simple. I loved this project but felt like it would go better on Crazy Domestic, so I've been hanging onto it waiting for the perfect time to post it. Now that Disney has stopped updating her blog regularly, this tutorial means more to me than ever- I miss her creativity! 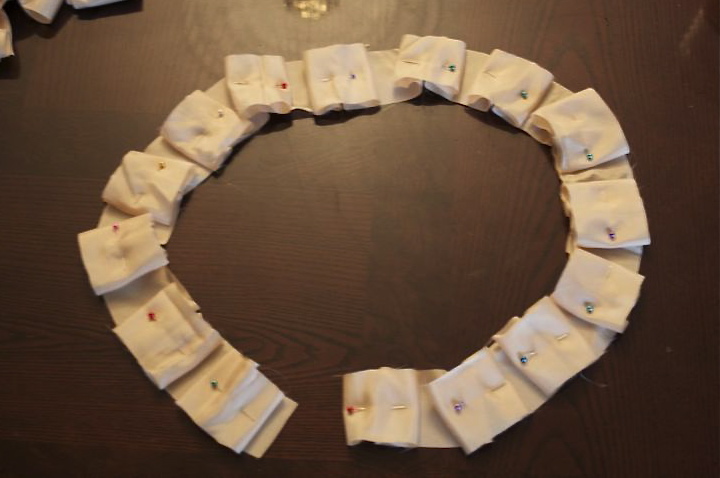 So in honor of my dear blog friend and her commitment to take some time away, its time to share her great tutorial. Enjoy! 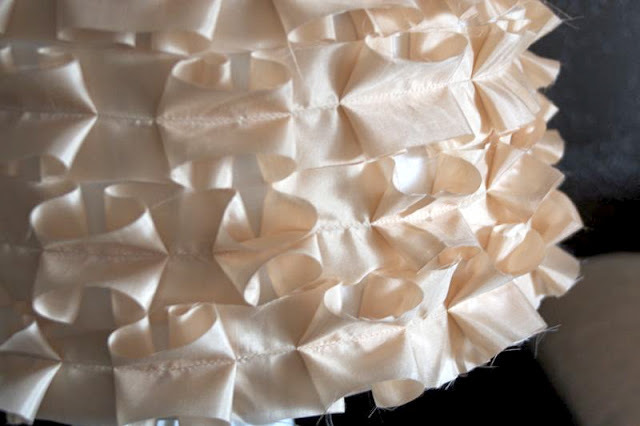 Full of lovely, romantic ruffles, and only 4 steps involved! Let's get started! 1. 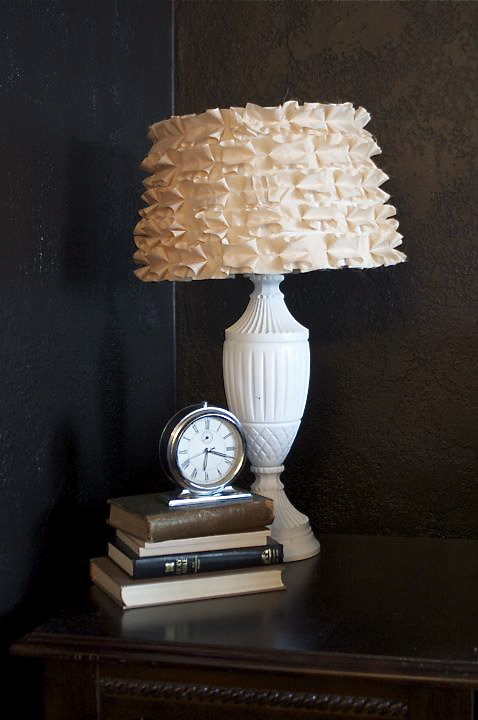 Start with a plain lampshade. whichever shape you like. 2. Cut out enough strips to cover the shade. You'll want about 3x the measurement of your shade. 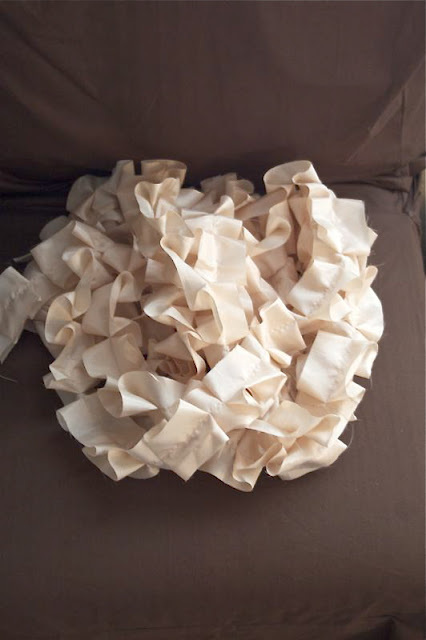 For example, if your shade is 40" around the top, make the first strip about 120". 3. 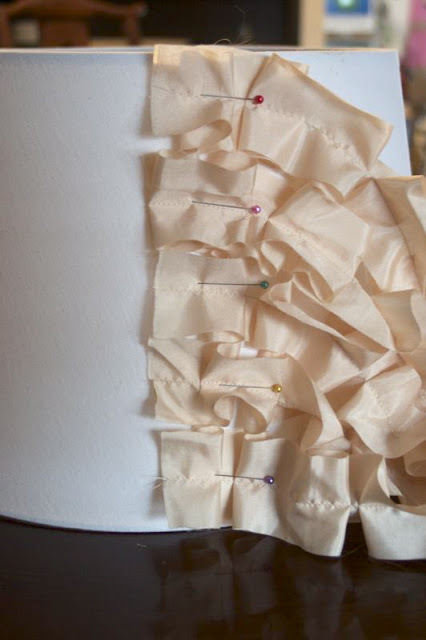 Fold the strips over to make pleats all the way down, and pin each pleat. 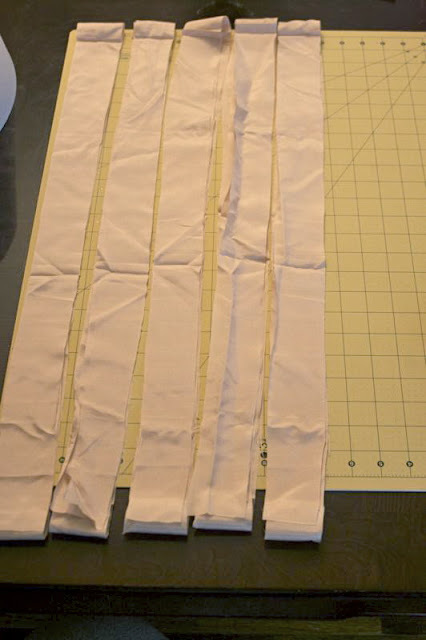 Wrap the strips around the shade, to make sure they fit, and then sew strait down the strip, to hold the pleats together. Look at all that ruffly goodness!! 4. 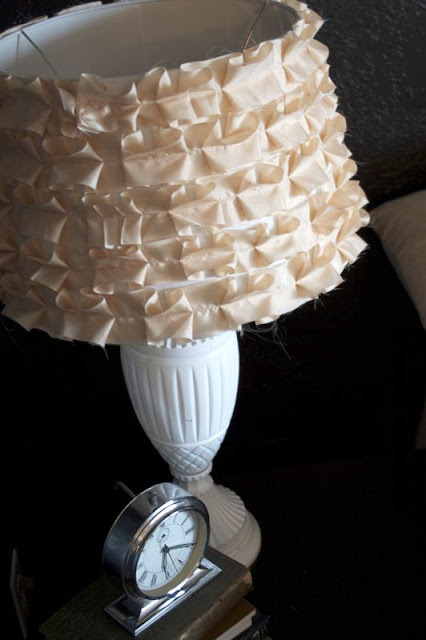 Pin the start of each strip to the lampshade, to see where they will need to go, and use a glue gun to attach them. Try to glue along the stitching, so it doesn't show through lighter fabric when the lamp is turned on. Turn on the light, and admire your handiwork! Even though her blog isn't being updated, it is still up and running! You will always be able to find some awesome inspiration at Ruffles and Stuff. Disney, we miss you but wish you a very fulfilling and happy life! Cheers! Wow!! So very easy and so adorable! I am going to give this a try this weekend. 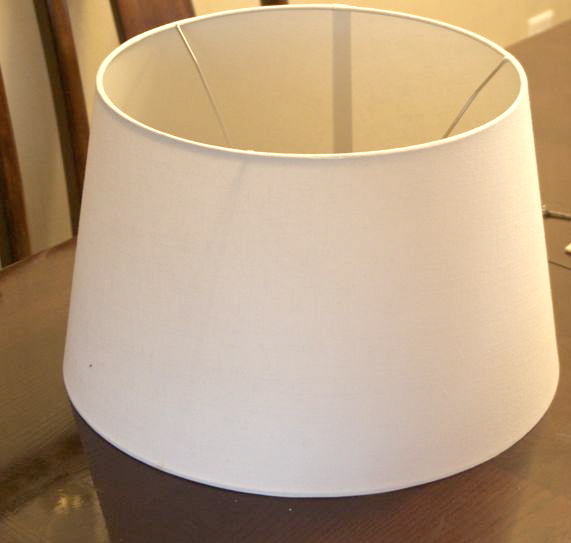 I have a lamp shade that I just hate. I was thinking of just buying a new one but this will be a great fix!! !